Embark on mayhem-filled, morally-questionable quests for wealth, honor, and crunchy corn chips! 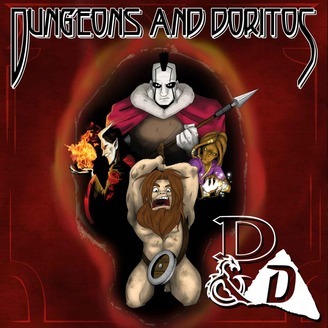 Dungeons &amp; Doritos is the classic RPG audio drama that brings tabletop gaming to life with cinematic sound effects and score. 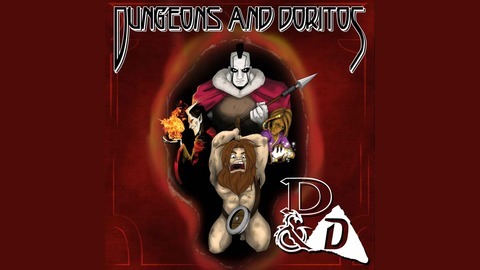 Join Jamela the dragonborn, Chair the dwarf that used to be furniture, Vimak the goliath, Jen’Ifer the tiefling, Barty the roguish performer, and Lefty the pirate queen as they get saucy with gods, haggle with horrors, surf through hell, and scarf down innumerable triangular snacks. Do you feel sick to your stomach? If so, that's probably Galdap forcing a psychic message into your Midgardian meat. Best to listen in and the gassy bloating will subside. Your old wizard pal has some news about what's going on behind the scenes with the D&D crew and where you can hear a surprise reunion between Deen and Jamela. Update August 2017 :: D&D Q&A + Lefty on Tour!